Planning and going through a divorce is extremely difficult, on both emotional and financial level; and with all the legal components of getting a divorce, a qualified attorney is retained 99.9% of the time. Not only is it important to have an attorney to represent you in court, it is also important to find an attorney that can help you understand the different rules and nuances that can go on during the divorce process – things like property and asset division, state rules that apply to divorce, and other facets involved in a divorce settlement. A divorce attorney can also help you construct reasonable and achievable requests and agreements. For example, an attorney can help you comprise a custody agreement that would be much better as opposed to if you had done it on your own, as they will know what makes the most sense for the family. In addition, your attorney can demand for discovery, leading to the collection of supporting documents that can help your case. Filing divorce papers are tedious, and if you don’t really know what you are doing, can end up being a detriment to your case. Lawyers know just how to prepare these documents and where they should be filed, which needs to be done in an exact, particular order. 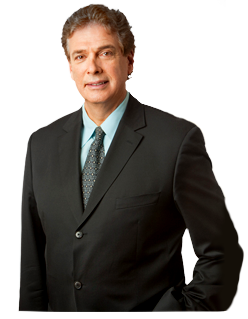 All of this stress can be avoided through the retainment of an experienced divorce lawyer. Finally, if the divorce process will proceed in family court, and it is evident that the spouses cannot agree to split custody or assets, it is then up to the opinion of a judge to divide the assets and rule over the proceedings. At this point, it is absolutely necessary to get a lawyer, so that they may make your case to judge, fighting for what is in your best interests, and making sure that your needs are not only heard in the appropriate court manner, but in a way that persuades the judge in your favor.